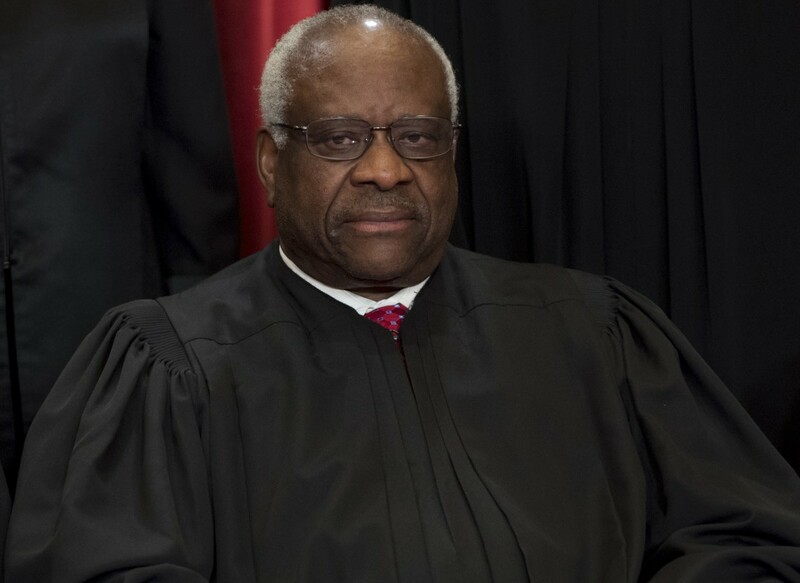 The patterns behind even Clarence Thomas&apos; minimal utterances fit patterns that reveal aspects of the Supreme Court&apos;s decision-making. Near the end of the oral argument in a Supreme Court case on racial discrimination in jury selection, something unusual happened: Justice Clarence Thomas asked a question. 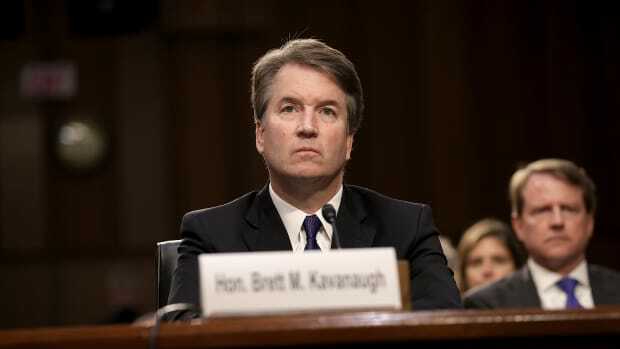 The famously reticent justice broke his three-year silence on Wednesday, the first time he&apos;s spoken since 2016 (and, before that, 2006). The case concerns Curtis Flowers, a black man from Mississippi, who&apos;s been tried six times by overwhelmingly white juries. (In all of his trials, 61 of the 72 jurors were white, according to APM Reports.) Posing his question in a manner that&apos;s been described as polite inquiry, Thomas expressed some skepticism about racial bias, pointing out that lawyers for the defendant also cut white people from the jury. Thomas&apos; question is significant—and not just because it signals he&apos;s likely to oppose overturning Flowers&apos; conviction, as he did in a similar 2016 case. As Northwestern University law professor Tonja Jacobi&apos;s research has shown, these oral Supreme Court arguments yield a lot of interesting takeaways: Justice Antonin Scalia made a lot of bad jokes. Justice Stephen Breyer is particularly loquacious. Thomas, by virtue of his silence, is one of the only male justices who refrains from frequently interrupting the female justices. 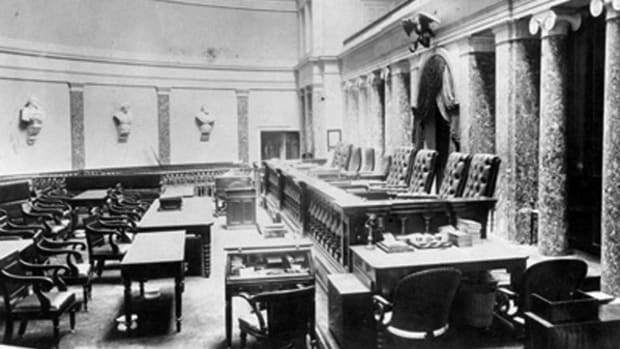 But Thomas does fit other patterns, which reveal much more about the court than the justices themselves might realize. "It&apos;s the one part of the Supreme Court decision-making that&apos;s open to the public," Jacobi says of oral arguments. "That to me is an interesting aspect—an insight into an otherwise very cloistered institution." 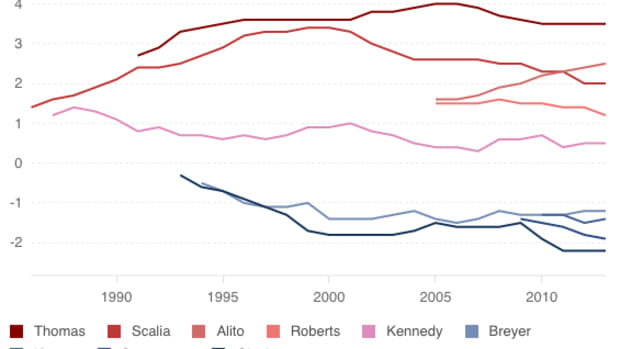 Here&apos;s what empirical data on justices&apos; behavior during oral arguments can tell us about the highest court in the country. In a 2019 study, Jacobi analyzed 55 years of Supreme Court oral arguments and found that the justices have grown increasingly polarized and partisan in their comments. "What we show is that the justices are much more likely to speak during the time of the advocate they ultimately vote against—the person who&apos;s time they&apos;re using up," Jacobi says. This is what she calls "the disagreement gap." Thomas&apos; strategy, comparatively, is a bit of a relic: Unlike the courts of the 1960s and &apos;70s, when it was not so unusual for a justice to stay silent for a year, the modern justices jump at the chance to advocate for their favored side. "Often when a justice chooses to speak, it&apos;s in order to push a kind of agenda and influence their colleagues, or influence the public debate," Jacobi says. On this point, she adds that Thomas&apos; question wasn&apos;t actually an outlier: "It was a rebuttal point—a point in opposition—which fits the pattern." All of this contributes to what Jacobi sees as the new role of oral argument in the modern Supreme Court, pioneered by Scalia in order to normalize his extreme views. "It&apos;s this persuasive act—it&apos;s partly performative as well," she says. By opting out of this performance, Jacobi says, Thomas—the most conservative justice on the court—reduces his own influence. He&apos;s justified it before by saying he believes the court should be more polite; others say that he&apos;s insecure about his accent. Either way, Jacobi says: "As the only African American on the court, it&apos;s unfortunate that he doesn&apos;t speak. He&apos;s representing an important group ... a group that&apos;s been silenced within the legal system." Jacobi&apos;s first analysis of oral arguments focused on interruptions, which ranged from male justices interrupting their female colleagues to advocates mansplaining the law to Justice Ruth Bader Ginsburg. Her findings confirmed what a large body of research has already determined for women at large: Despite speaking less often, the female justices were interrupted during oral arguments at "a significantly higher rate" than the men (who did the majority of the interrupting). "Even if you&apos;re a Supreme Court justice, one of the most powerful people in the country, it still mattered what your gender was; they still experienced this, even from their subordinates," Jacobi says. "People were a bit shocked that power couldn&apos;t compensate for that gender effect." 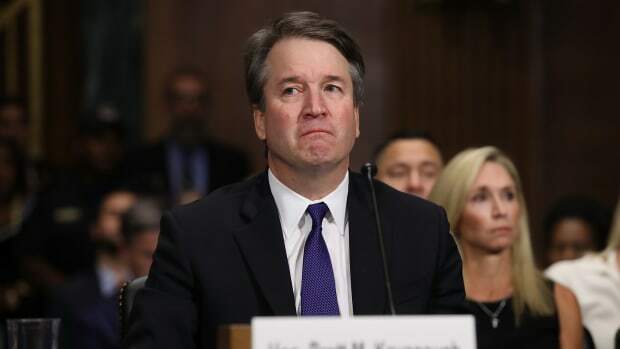 Justices Elena Kagan and Sonia Sotomayor, in particular, were interrupted the most; both tended to frame their questions politely, prefacing with speech like "sorry" or "may I ask," only to be interrupted themselves. Since this strategy often failed, the study found that the more senior female justices—particularly Ginsburg—have had to adopt a "more assertive questioning style" in order to be heard. These revelations resonated with many women, Jacobi says—including Ginsburg, who said she hoped the study would galvanize a change in the court. Some of the male justices even apologized to Sotomayor, according to Jacobi. But the most recent analysis shows little meaningful change: The interruptions continue. What Does This All Mean for Today&apos;s Conservative Court? But some coalitions transgress ideology. Jacobi says recent oral arguments show the justices also align by their processes of decision-making. "We&apos;re seeing a fair bit of variation within that conservative coalition, in terms of what looks to be more about law than ideology, so methodology," Jacobi says. Even Ginsburg and Gorsuch, two ideological foes, share legal philosophies. 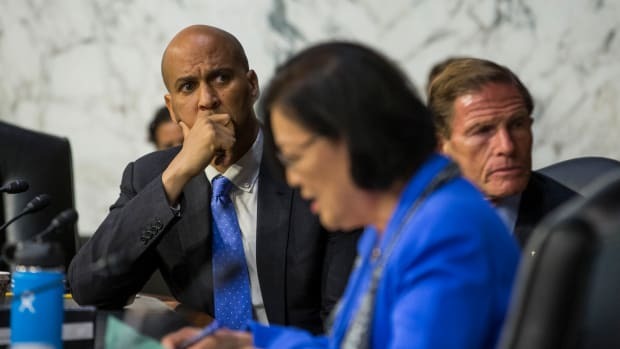 Kavanaugh, meanwhile, has been more pragmatic in his questioning. In the other surprise of the day, he seemed to favor the defendant in Wednesday&apos;s oral arguments, prompting suggestions that he may be "the key to freeing Curtis Flowers." Jacobi says how the justices act during oral argument can indeed predict how they decide. 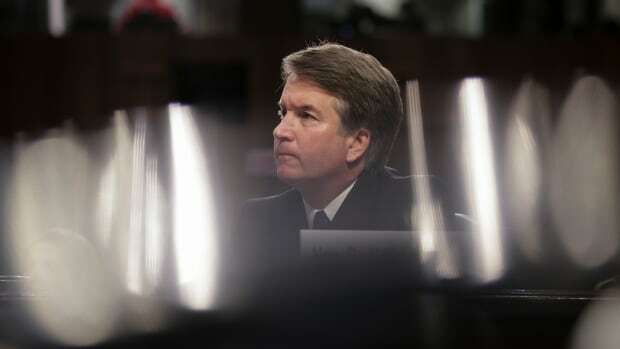 But no matter the outcome, one thing is clear: Kavanaugh&apos;s certainly not staying silent.